Anecdotally it has been suggested that exposure to some noise sources through leisure activities could have a significant effect on whole-of-life noise exposure. While exposure levels do vary, a typical night club or dance club attendee was found to experience an equivalent continuous A-weighted noise level of around 98 dB for up to 5 hours with an exposure of 12.2 Pa 2 h. This can extend up to 104 Pa 2 h in extreme cases. 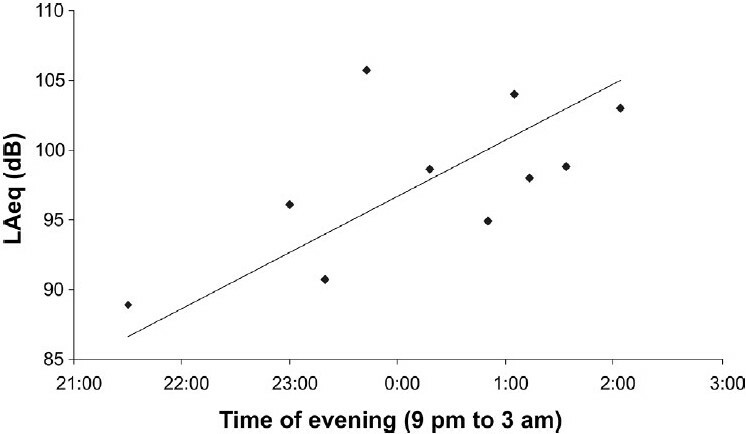 A study of "clubbers" reveals regular clubbing to be a source of high noise exposure, with a sustained period of regular club attendance contributing to a significant portion of whole-of-life noise exposure. The efficacy of three different doses of sodium salicylate (SAL) in combination with one dose of N-acetylcysteine (NAC) to prevent noise-induced hearing loss was studied in chinchillas. After obtaining baseline-hearing thresholds, the chinchillas were randomly assigned to one of four treatment groups: three sets were injected intraperitoneally with 325 mg/kg NAC combined with 25, 50, or 75 mg/kg SAL, and a separate control group was injected with an equal volume of saline. Animals were injected twice daily for 2 days prior to and 1 hour before the noise exposure (6 hours to a 105-dB Standard Pressure Level octave band noise centered at 4 kHz). Immediate post-noise hearing thresholds were obtained followed by post-noise treatments at 1 hour then twice-daily for 2 days. Hearing tests continued at 1, 2, and 3 weeks post-noise, and immediately after the last hearing test, animals' cochleae were stained for hair cell counts. All the groups showed hearing improvement until week 2. However, at week 3, saline treated animals demonstrated a 17-33 dB SPL permanent threshold shift (PTS) across the test frequencies. Hearing loss was lowest in the 50 SAL/325 NAC mg/kg group (all frequencies, P < 0.001), and although PTS was reduced in the 25 and 75 mg/kg SAL dosage groups compared to the saline group, only the 75 mg/kg SAL group was significantly different at all but 2 kHz frequency. Coupled with the hearing loss, outer hair cell (OHC) loss was maximal in the 4-8 kHz cochlear region of saline treated animals. However, there was a substantial reduction in the mean OHC loss of the NAC plus 50 or 75 mg/kg (but not the 25 mg/kg) SAL groups. These findings suggest that SAL in combination with NAC is effective in reducing noise damage to the cochlea, but SAL has a relatively narrow therapeutic dosing window. The aim of the study was to investigate the annoyance of low frequency noise (LFN) at levels normally prevailing at workplaces in control rooms and office-like areas. Two different laboratory experiments were carried out. The first experiment included 55 young volunteers and the second one comprised 70 older volunteers, categorized in terms of sensitivity to noise. The subjects listened to noise samples with different spectra, including LFNs at sound pressure level (SPL) of 45-67 dBA, and evaluated annoyance using a 100-score graphical rating scale. 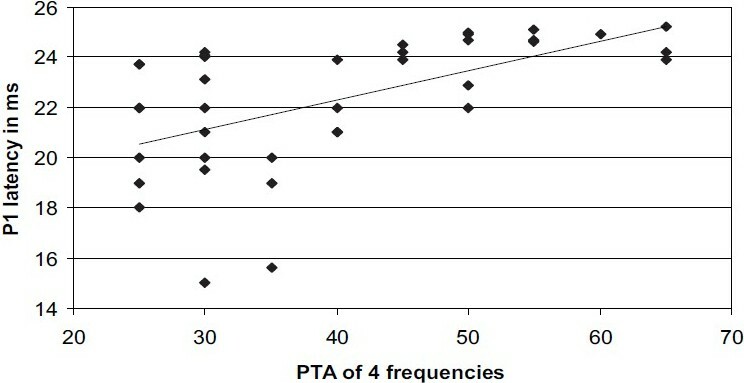 The subjective ratings of annoyance were compared to different noise metrics. In both the experiments, there were no differences in annoyance assessments between females and males. A significant influence of individual sensitivity to noise on annoyance rating was observed for some LFNs. Annoyance of LFN was not rated higher than annoyance from broadband noises without or with less prominent low frequencies at similar A-weighted SPLs. In both the experiments, median annoyance rating of LFN highly correlated with A-weighted SPL (L Aeq,T ), low frequency A-weighted SPL (L LFAeq,T ) and C-weighted SPL (L Ceq,T ). However, it is only the two latter noise metrics (i.e. L LFAeq,T and L Ceq,T ) which seem to be reliable predictors of annoyance exclusively from LFN. The young and older participants assessed similar annoyance from LFN at similar L LFAeq,T or L Ceq,T levels. Generally, over half of the subjects were predicted to be highly annoyed by LFN at the low frequency A-weighted SPL or C-weighted SPL above 62 and 83 dB, respectively. The study was carried out in 200 male volunteers. They were divided into two groups. The study group was exposed to noise levels of more than 80 dB(A) for more than 8 hours a day for a period of 6 months, working in the steel and hammer industry, whereas the control group was working under normal conditions. The mean age of subjects was 33.33 + 0.867 years and the mean noise level to which they were exposed was 90.34 + 0.781 dB(A). Various autonomic function tests were carried out in both the groups and results were analyzed using Z test. Heart rate was recorded on cardiofax ECG machine and blood pressure (BP) was recorded using sphygmomanometer. The tests depicted significant increase in the mean resting heart rate and the heart rate response to standing (P=0.000), 30:15 ratio (P=0.002), the valsalva ratio (P=0.017), the % change in diastolic BP response to standing (P=0.000) and valsalva maneuver (P=0.000), the systolic BP and diastolic BP after cold pressor test (P=0.000) in study group as compared to the control group. The significant higher results in study group may be attributed to increased sympathetic activity. Thus, noise presents as a significant health hazard. It is recommended that maximum allowable duration of exposure should be reviewed and strictly followed. In recent years, it has been postulated that cigarette smoking can aggravate noise-induced hearing loss. In this study, we aimed to assess the effect of concurrent exposure to cigarette smoke and occupational noise on binaural hearing impairment (BHI). In an analytic study on the workers of a large wagon manufacturing company in 2007, 622 male workers (252 smokers and 370 non-smokers, matched for other variables) participated and their BHI was compared. BHI was significantly higher in smokers than in non-smokers (odds ratio= 5.6, P < 0.001, 95% CI =3.4-9.4). Logistic regression confirmed this significant difference as well, and showed a direct relationship between the amount of BHI and pack/years of smoking. Cigarette smoking accompanied by exposure to workplace noise may play a role in causing binaural hearing impairment, so giving up or decreasing the amount of smoking may prevent or at least delay binaural hearing impairment, and eventually reduce its compensation costs. Noise affects one's hearing as well as balance mechanism. The hearing mechanism of the noise-exposed individuals has been extensively studied. However, in view of the poor research focus on the sacculo-collic reflexes, especially in this study area, the present study was undertaken to examine the vestibular evoked myogenic potentials (VEMP) in subjects with noise-induced hearing loss (NIHL). A total of 30 subjects (55 ears) with NIHL participated in the present study within the age range of 30-40 years. VEMP recordings were done at 99 dBnHL using IHS instrument. 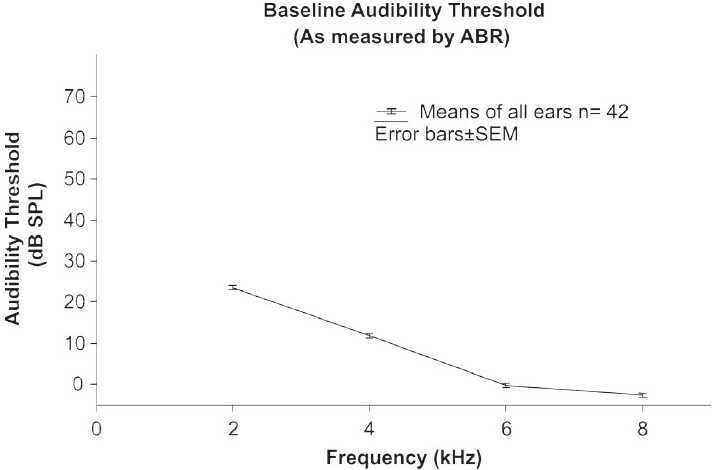 The results indicated that as the average pure tone hearing threshold increased, the VEMP latencies were prolonged and peak to peak amplitude was reduced in NIHL subjects. Out of the 55 ears, VEMP was absent in 16 (29.0%) ears. The latency was prolonged and the peak to peak amplitude was reduced in 19 (34.6%) ears. VEMP results were normal in 20 (36.4%) ears. Therefore, VEMP was abnormal or absent in 67% of NIHL subjects in the present study. Hence it can be concluded that the possibility of vestibular dysfunction, specially the saccular pathway, is high in individuals with NIHL. VEMP, a non-invasive and user friendly procedure, can be employed in these individuals to assess sacculo-collic reflex. With the rapid rate of urbanization of Aurangabad city due to the expanding industrialization, the problem of noise pollution has become a concern for urban dwellers and government authority too. Noise pollution due to vehicular traffic is one of the growing environmental problems of urban centers. 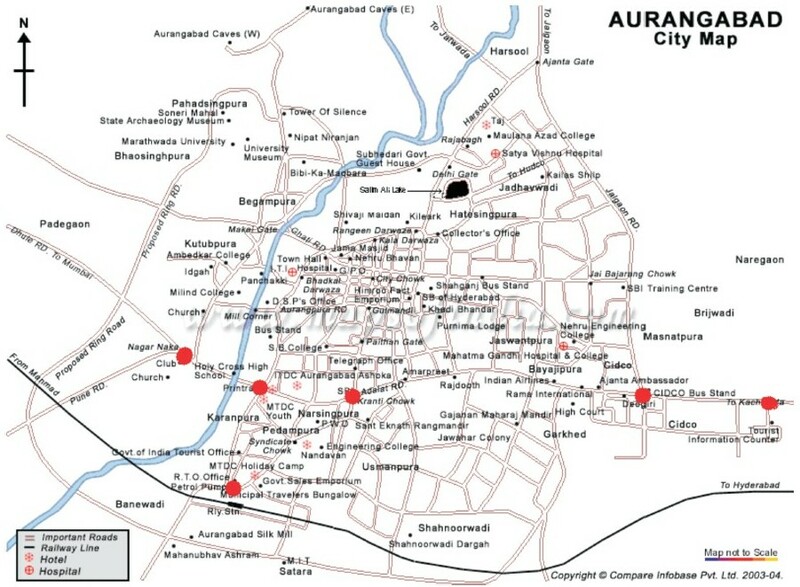 The study deals with the assessment of traffic noise levels in Aurangabad city. With respect to the total number of vehicles passing the road in unit time, which was surveyed by direct count method, six different sites from Aurangabad city, viz., Nagar Naka, Kranti Chowk, CIDCO bus stand, Railway station area, Dhoot Hospital and Baba petrol pump were selected to study the vehicular noise level. Noise measurements were carried out at these six locations on both working day and holiday during the peak traffic hours, i.e. 8:00 a.m. - 11:a.m., 1:00 p.m. - 4:00 p.m. and 5:00 p.m. - 8:00 p.m., in the morning, afternoon and evening sessions, respectively, after 5 minutes time interval. The noise level was monitored using noise level meter. The results obtained from this investigation showed that the Nagar Naka, Kranti chowk and CIDCO bus stand area have dense traffic zones when compared with the Railway station area, Dhoot Hospital and Baba petrol pump. The minimum and the maximum noise levels are 74 and 86 dB, respectively, on working day and 70 and 81 dB, respectively, on holiday. The measured noise level values exceed the prescribed noise level.